Arthritis is a degenerative disease that causes severe joint pain and inflammation. Medications that your doctor prescribe may have some side-effects. These can be worse than the symptoms of the disease itself. If you’re experiencing symptoms, you might want to try a more holistic approach. This is one of the oldest and cheapest remedies. You can do this in the comfort of your home. Taking warm showers makes your joints more flexible because it increases blood circulation, readying for physical activity. Cold therapy – like using frozen peas – reduces swelling and also decreases burning sensations in the muscles. An electric heating pad, gel ice pack, or instant cold pack are great options for relief. Physical therapy helps in improving the mobility in your joints. It makes the body active and you can function more in your daily life. A physical therapist can plan exercises for you to increase flexibility and balance. You get to learn proper posture and overtime, your body gets stronger. Meditation is a relaxation technique which can even decrease depression symptoms. “Psychologists have known for decades that the images you create in your mind can have a potent effect on your body; now researchers are proving it,” says Traci Stein, PhD, a clinical psychologist and adjunct professor at Columbia University’s Teachers College in New York City. The most common method of meditation is focusing on your breath for stress relief. Visualization helps activate the same neural networks that actual task performance does, which can strengthen the connection between brain and body. Yoga and Tai Chi can also improve muscle flexibility through exercise. This is an ancient Chinese technique. Experts still debate whether acupuncture can relieve chronic pain. Nevertheless, many patients swear by its benefits. The therapist sticks thin needles into your body at specific points. Energy moves from these parts to the joints and decreases your pain. Acupuncture helps to maintain balance in the body. Just make sure that you get the treatment from a licensed and certified professional. You can also go for supplements and herbs. Take probiotic supplements and anti-inflammatory foods. Nuts, garlic, whole grains, and olive oil are good for inflammation. You can add turmeric and ginger to food while cooking. You can use aloe vera and eucalyptus for topical (applied on skin) treatment. Carbon 60 or C60 is an effective supplement for arthritis. Scientists recently discovered that oxygen free radicals can cause Arthritis. They conducted a study on Rheumatoid cells in rats. They divided these rats into two groups. Once a week, they gave the rats in one group 20 μl of water-soluble C60. After 8 weeks, they saw a decrease in inflammation and damage in the joints. Researcher proved that C60 is an anti-rheumatic drug. This means that C60 is successful in stopping the growth of arthritic cells. 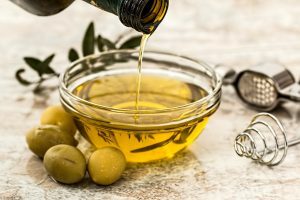 C60 in olive oil also has other benefits like anti-aging. It is an antioxidant that can stop wrinkles from appearing. It slows down the process of skin sagging. Regular intake of C60 in olive oil increases your lifespan. C60 also fights fatigue and boosts immunity. “I used to feel that I am the only one among my group of friends to gasp for breath after a simple workout. Then I started taking C60 supplement and could see the results almost immediately. If you are like me, then C60 is the solution for you.” -Josh. Combine these holistic cures listed here with medicine prescribed by your doctor. You should be physically active and get enough sleep. Lose weight to reduce pressure on the joints and muscles. Consume a nutrient-rich diet. Limit your meat and dairy intake. Order C60 to Treat Your Arthritis Now! To find out more about C60, click here. For a stronger body, better immunity, and healthier life, buy C60 in olive oil to treat your arthritis today. Call (713) 686-9662 to speak to one of our experts. ← Who Should Take Antioxidants?